Lisa Tucker captures the hidden heart of the modern family. In her widely acclaimed novels, she has established her unique gift for depicting the bewildering nature of love, the poignant quest to belong, and the deep desire for a place to call home. Now from the bestselling author of The Cure for Modern Life and Once Upon a Day comes a riveting story of suspense about a literature professor whose carefully constructed life is shattered after the death of her twin brother and the unraveling of the secret world they shared. On a March afternoon, while Lila Cole is working in her quiet office, her twin brother Billy points an unloaded rifle out of a hotel window, closing down a city block. “Suicide by police” was obviously Billy’s intended result, but the aftermath of his death brings shock after shock for Lila when she discovers that her brilliant but troubled twin — the person she revered and was closer to than anyone in the world — was not only estranged from his wife, but also charged with endangering the life of his middle child and namesake, eight-year-old William. As Lila struggles to figure out what was truth and what was fiction in her brother’s complicated past, her job, her marriage, and even her sanity will be put at risk. And when the hidden meaning behind Billy’s stories comes to light, she will have to act before Billy’s children are destroyed by the same heartbreaking reality that shattered her protector and twin more than twenty years ago. 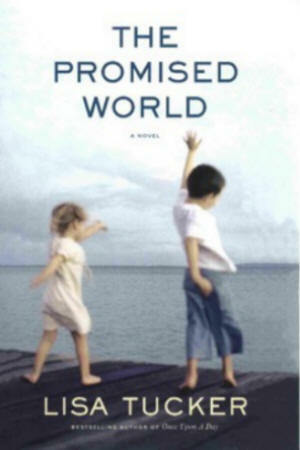 A love song to the redemptive power ofbooks and stories, THE PROMISED WORLD is a mesmerizing tale of intimacy, betrayal, and lost innocence that will haunt readers long after they have turned the final page.